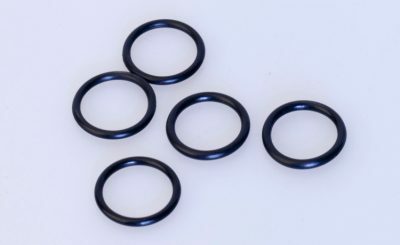 FFKM are mostly made into O-rings (or washers). However, they are significantly more expensive than standard FKM O-rings. Currently, YodaRubber mainly develops FFKM O-rings for the usage in power technology (mainly nuclear power station) and construction material manufacture. FFKMs (by ASTM 1418 standard, equivalent to FFPMs by ISO/DIN 1629 standard) are perfluoroelastomeric compounds containing an even higher amount of fluoride than FKM. They have further improved resistance to high temperatures and chemicals and even withstand environments where Oxygen-Plasma is present for many hours. Certain grades have a maximum continuous service temperature of 327 °C (621 °F). 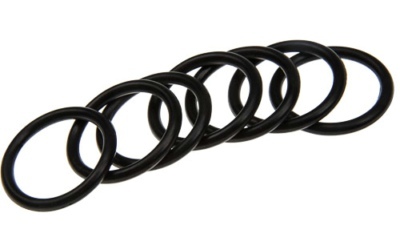 They are commonly used to make O-rings and gaskets that are used in applications that involve contact with hydrocarbons or highly corrosive fluids, or when a wide range of temperatures is encountered. For vacuum applications, demanding very low contamination (out-gassing and particle emission) as well as high temperature operation (200 – 300 °C) for prolonged out-baking or processing times and where a copper or metal sealing is not possible or very inconvenient/expensive, a custom-made, clean-room manufactured FFKM sealing can be used. The excellent performance allows FFKM seals to reach well into UHV pressures without the use of metal sealing.